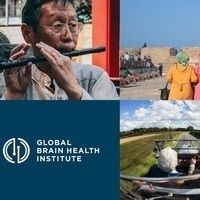 The Global Brain Health Institute (GBHI) is bringing together leaders from the Atlantic Fellows programs worldwide and key players from the Bay Area in a unique event called Common Ground In Time; Equity and Aging at UCSF Mission Bay on the afternoon of December 10. The challenges of living longer and living well are places for connection. Strategies for living longer better require the knowledge of many UCSF departments, their delivery requires the application of diverse leadership. This event will connect people working toward equity in older age and those nurturing future leaders across the world. It will share and stimulate in equal measure. Phyllis Jean Hamilton Chief United States District Judge of the United States District Court for the Northern District of California. Dr Kirsten Bibbins-Domingo, Lee Goldman, MD Endowed Chair in Medicine, Professor and Chair of the Department of Epidemiology and Biostatistics, inaugural Vice Dean for Population Health and Health Equity in the UCSF School of Medicine and co-founder of the UCSF Center for Vulnerable Populations at Zuckerberg San Francisco General Hospital.